The families of the 11 men who died in the crash at the Shoreham air show will continue their search for answers, their lawyer said today (Friday 8 March). Senior associate solicitor Rebecca Smith, from Irwin Mitchell, spoke after a jury cleared pilot Andrew Hill, 54, of 11 counts of manslaughter by gross negligence. 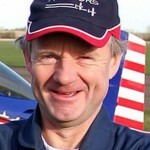 Hill crashed a vintage Hawker Hunter on to the A27 by Shoreham Airport when he failed to complete a loop. Six of the 11 men who died were from Brighton and Hove – and the relatives of those who died were described as devastated by the jury’s verdict. It came at the end of a seven-week trial at the Central Criminal Court – better known as the Old Bailey – in London. Specialist aviation lawyers at Irwin Mitchell represent 17 people affected by the crash, including families who lost loved ones and those who were injured. Rebecca Smith, one of the expert aviation lawyers at Irwin Mitchell, said: “Now that the criminal proceedings have concluded attention will now turn to the Inquest where the entirety of the Shoreham air show tragedy can be fully examined. “While the criminal trial purely looked into the actions of the pilot involved, the inquest will be able to investigate the wider organisation and planning of the event including the safety precautions taken, the aircraft involved, location of spectators and the management of the pilots. “While there have been some recommendations from the Air Accident Investigation Branch (AAIB) following their early reports, it is only once the whole event has been examined at the inquest that lessons can be fully learned to prevent something like this from ever happening again. A new date for the inquest has yet to be confirmed by the coroner.